﻿ Long before we became United Methodists we were first St. Paul's Evangelical Church. On November 16, 1946 we merged with the Church of the United Brethren and became St. Paul's Evangelical United Brethren Church. In 1968 the Methodist denomination merged with Evangelical United Brethren denomination and so we became St. Paul's United Methodist Church. Few records are available pertaining to the early history of St. Paul's Evangelical Church. Some of the records show that several missionaries came up the Hudson River before 1847 to carry on the work of their church in the Albany, Buffalo and Seneca Falls Regions. Just when the work was extended to Oneida is not clear, but early Journals of the New York Conference record pastorates of six ministers during the period from 1854 to 1880. Then there seems to have been a lull in the work until the Petzoldt Family came from Beaver Falls, N.Y. in 1887 and revived the ministry in Oneida. They had no church and used a rented hall for services. A new church was built on the corner of Elm and Lake Street and was dedicated Dec. 20, 1890. 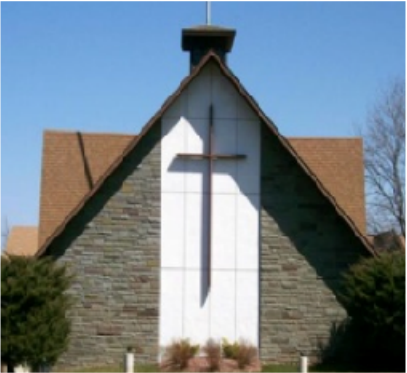 We remained in that church building until our new and present building was constructed and dedicated September 30, 1962. In 1980 it was decided to begin the second phase of our Church building. All of this work was completed by the men and women of our congregation, and on October 4, 1987 the new Sunday School Wing was dedicated. In 1997 and 1998 the temporary partitions in the original Sunday School wing were removed, and downstairs the Sunday School Wing was completely renovated. We believe that God created each of us precious, good, and unique. We believe that there is nothing that can separate u﻿s from God's love. We believe that God loves us unconditionally. We believe that Christ calls us to a path of discipleship that isn't easy. We believe that God calls each one of us, not just some of us. We believe that God intends us to treat each other with loving care and respect. We believe that we are a community and we support each other in our lives. We believe that children are a valuable part of our church community and need the examples and leadership of supportive adults - contributed by members of the Church family. The United Methodist Church is made up of many different kinds of people and we have a broad range of theological traditions. There are, however, some common core principles that hold us together as people of faith: God's grace; faith and good works; mission and service. To read more about the United Methodist Church and what it means to be United Methodist visit the denomination's page about our beliefs. The mission of the United Methodist Church is to make disciples of Jesus Christ. Local Churches provide the most significant arena through which disciple making occurs. The Book of Discipline of The United Methodist Church.